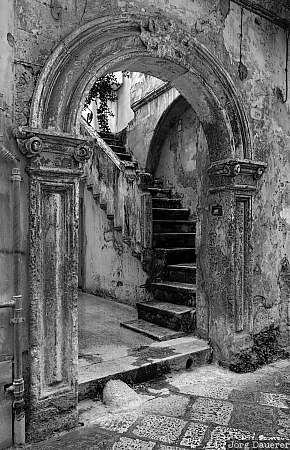 Stairs in a yard behind an open gate in Lecce, Salento, Apulia in southern Italy. This photo was taken in the evening of a rainy day in late April of 2006. This photo was taken with a digital camera.